Components in the range 250nm – 2.5µm for big optics up to 2 meter size ! CILAS operates the largest optical coating platform using magnetron sputtering technology in Europe. CILAS is an expert in the design and manufacturing of optical thin film coatings. By using dense technologies, CILAS optical components ensure the highest performances in the most severe environments. With cutting-edge capabilities and experience, CILAS is the expert for industrial programs. CILAS designs and manufactures specific dielectric coatings for industrial applications, such as the display screen market on large dimension windows, from 1m to 1.8m long. CILAS has manufactured various complex components integrated into telescope instrumentations, like IRDIS and CPI instruments for SPHERE of ESO’s Very Large Telescope. In order to meet the requirements of worldwide astronomers, CILAS relies on its expertise and a large range of production equipment. 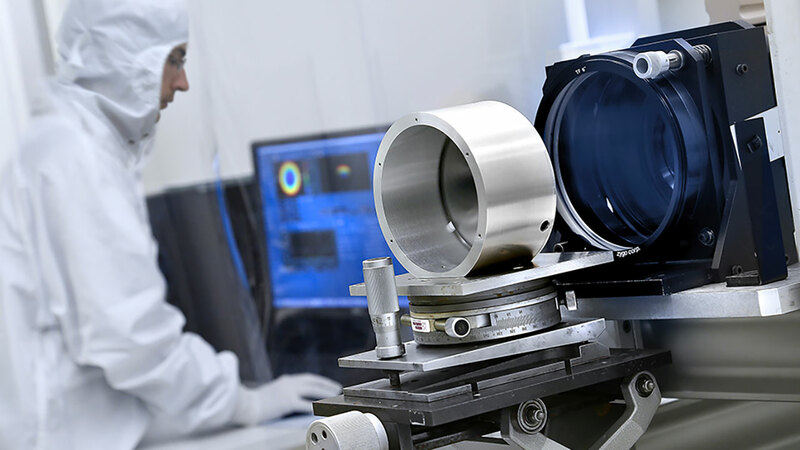 CNES and AIRBUS DS have entrusted CILAS and WINLIGHT with the design and manufacturing of the optical components for the Microcarb Instrument, aimed at measuring the global CO2 distribution in the atmosphere. CILAS has designed and manufactured coatings on the ChemCam instrument on Curiosity rover. Thanks to a unique expertise in the design of optical coatings and manufacturing processes, CILAS takes part in exceptional scientific programs. 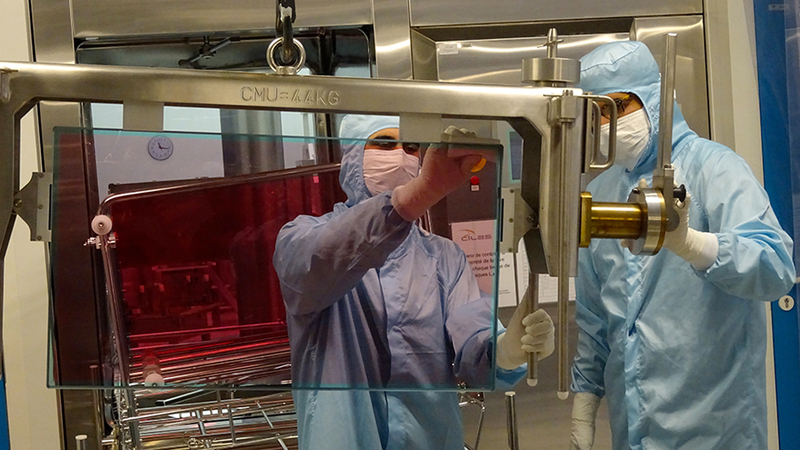 For the Laser MegaJoule Program, CILAS manufactures the large silver coated reflectors integrated into the laser amplifiers.